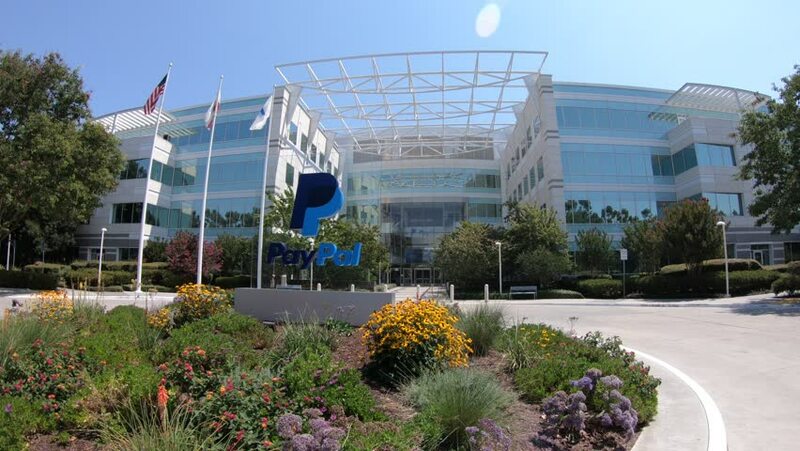 San Jose, CA, United States - August 12, 2018: flags of Paypal Headquarters in Silicon Valley. Paypal is a multinational corporation, a virtual bank for payments of internet business. 4k00:10A large curved glass headquarters building that is revealed through trees with a dramatic cloudless sky. 4k00:28SALT LAKE CITY, UTAH - 2 AUG 2017: Salt Lake City Utah Primary Children's Hospital man walks. Research and teaching hospital on the campus in Salt Lake City, Utah. Medical complex University.